NEWARK, N.J. (CN) – Unable to help satisfy the overseas demand for luxury cars because Jaguar Land Rover made him sign a no-export waiver, a California man hit the manufacturer with a federal antitrust class action. “There are no legitimate, pro-competitive justifications for the No-Export Policy,” the June 8 complaint states, filed in New Jersey, Jaguar Land Rover’s home state. Lead plaintiff Brian Barr says he bought a 2015 Range Rover in Carlsbad and would have resold the vehicle for export within one year had JLR, short for Jaguar Land Rover, not made him sign an agreement that subjects him to hefty penalties. In place since 2013, JLR’s no-export policy “requires a purchaser to attest that (i) the purchaser has no intention of exporting the JLR Vehicle outside the United States for up to one year from the date of delivery; (ii) if the JLR Vehicle is exported (even by subsequent purchasers), the purchaser is subject to liquidated damages ranging from $25,000 to $40,000, losses and expenses; and (iii) the JLR Vehicle warranty will be voided,” the complaint states. The market for luxury cars is hot in Russia, too, but Barr notes that China’s is the largest passenger car market in the world. Barr argues that there is nothing illegal about U.S. buyers taking advantage of this arbitrage opportunity, and that JLR just wants the market all to itself. “Through implementation of the JLR No-Export Policy, defendants sought to zealously protect their and their corporate affiliates’ ability to sell JLR Vehicles in foreign markets, like China, at substantially higher prices than are charged for the same JLR Vehicles in the United States,” the complaint states. Barr says he could have made up to $40,000 for shipping a JLR vehicle to China for resale, and that he would “continue to lease or purchase and resell” more cars if he had not been forced to sign the agreement. The complaint notes that JLR dealers keep blacklists to ensure that perceived exporters don’t get their hands on more Land Rovers. Dealers allegedly face harsh penalties if any vehicles slip through the cracks. 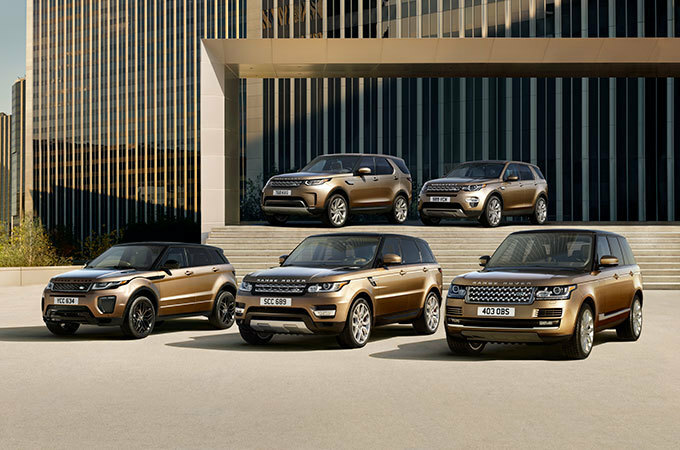 “According to [JLR spokesman] Stuart Schorr, … JLR has expressly told dealers that if more than 3 percent of their sales end up overseas they will be subject to fines, chargebacks, inventory reduction or termination,” the complaint states. Barr meanwhile says the government has in other cases dropped proceedings and either slowed or halted investigations concerning purchases of vehicles for export. Barr is represented by Peter Pearlman, an attorney with the Saddle Brook, New Jersey, firm of Cohn, Lifland, Pearlman, Herrmann and Knopf.